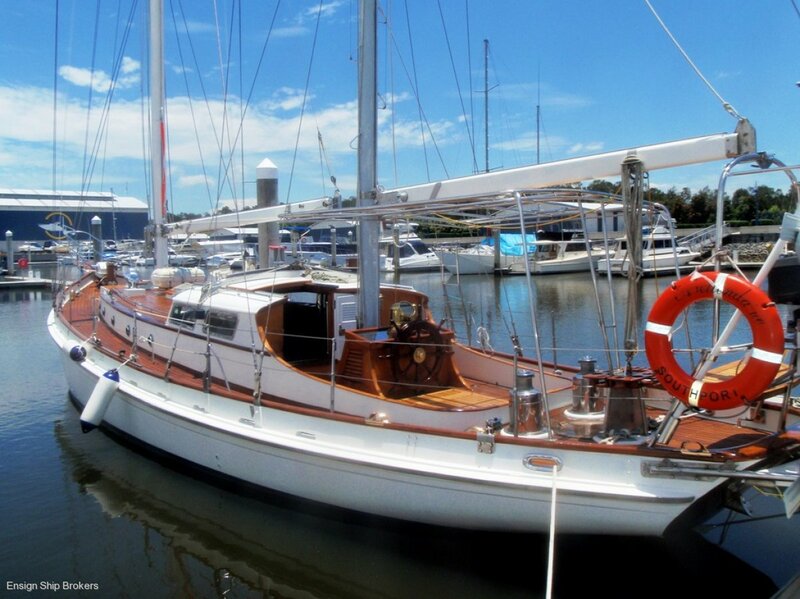 This classical, elegant and stylish sailing yacht will transport you to another world the moment you step aboard! 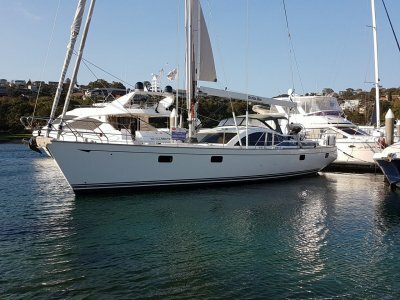 She is everything one would expect from a stunning traditional Ketch with the added bonus of being modernised during the 2010/2011 refit. 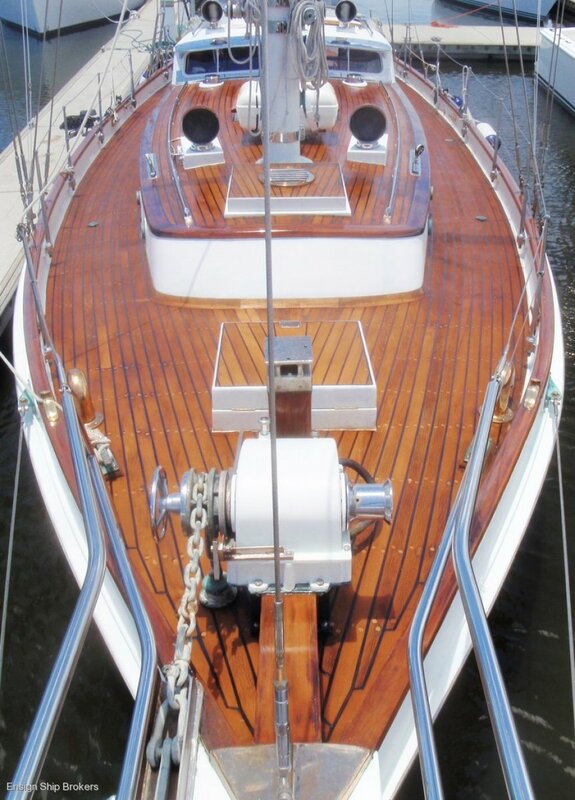 Her distinctive lines and warm teak decks are highlighted by the sumptuous interior, restored and upgraded with nothing over looked. 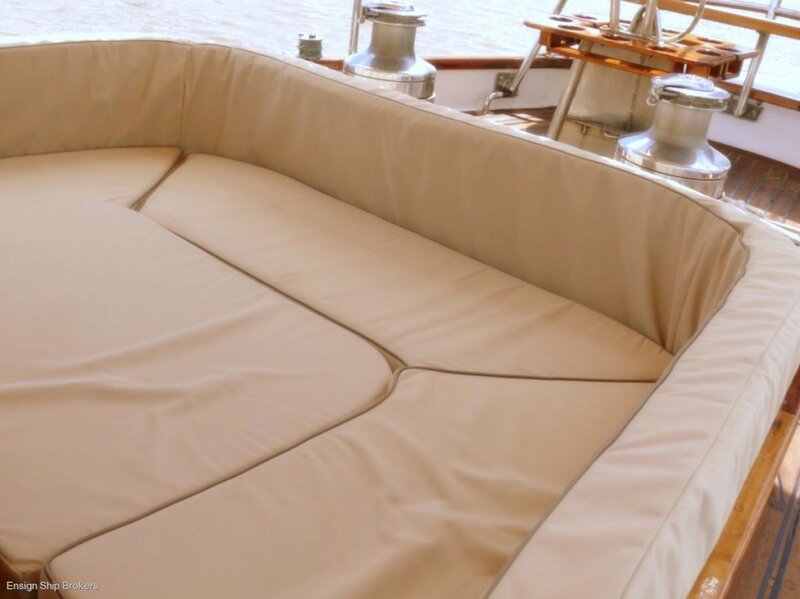 On deck you can sunbathe, or just sit back and relax on the vast sun-lounging cushions, whilst sipping a cool refreshing drink or celebrating in style with a glass of champagne. 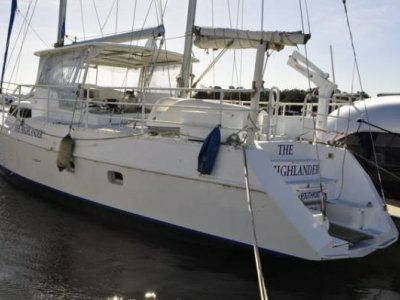 Setting sail on this 'go anywhere' yacht you know you are on board a unique sailing vessel, she is set up to transport you to the beautiful waters of the world with her sea worthiness and comfort. 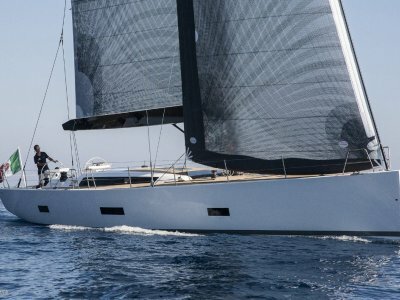 All the sails have been serviced, the cockpit has a new Bimini that can be fully enclosed with the brand new clears for on deck lounging or perhaps a siesta. 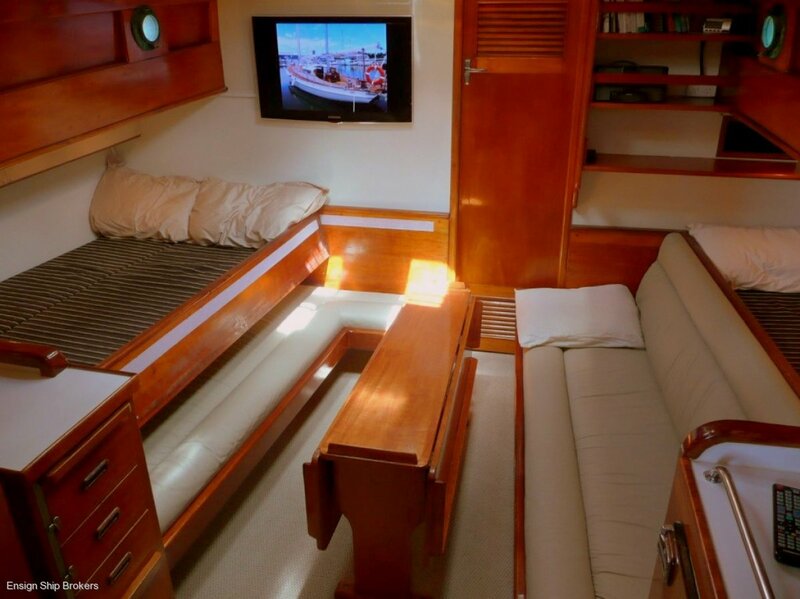 Below deck you can enjoy the luxury of the spacious saloon and open style, fully equipped refurbished galley. There are spacious berths for 8, new water cooled air-conditioning, new refrigeration units, Led TV entertainment and sumptuous new leather seating. Enjoy a drink from the bar and relax with friends over a good meal around the ample sized saloon table. 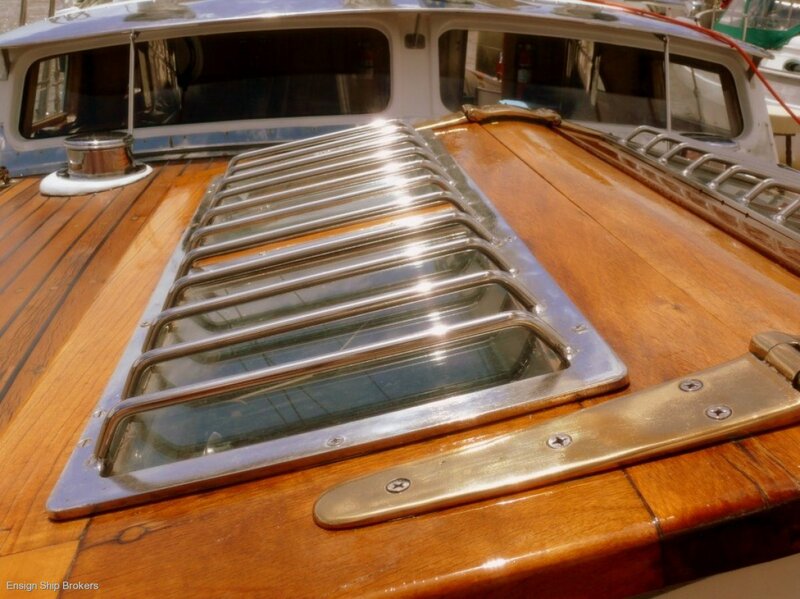 All berths are refurbished to a high standard, ensuring your every comfort, whilst retaining the timeless traditional qualities that this boat encapsulates. 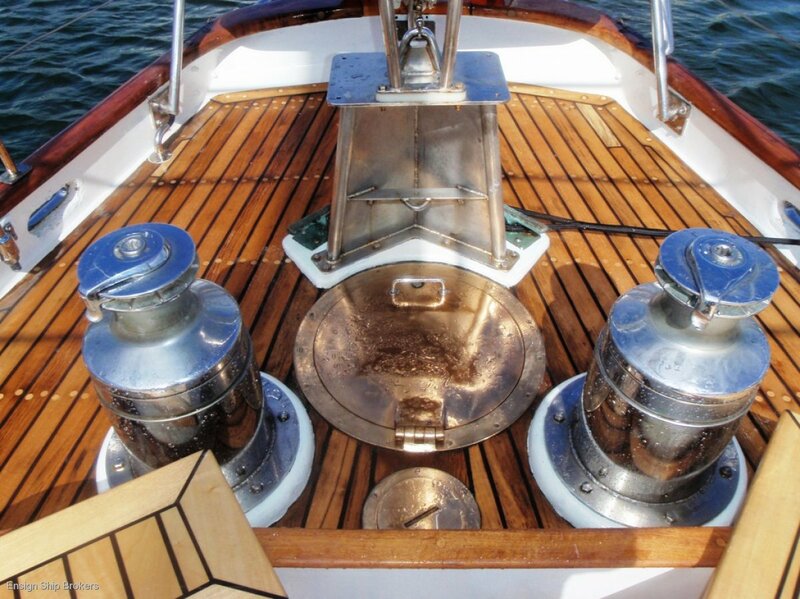 Built by the legendary Norman Wright & Sons shipyard, this is a yacht of some significant pedigree. This is a yacht that must be seen to be appreciated. 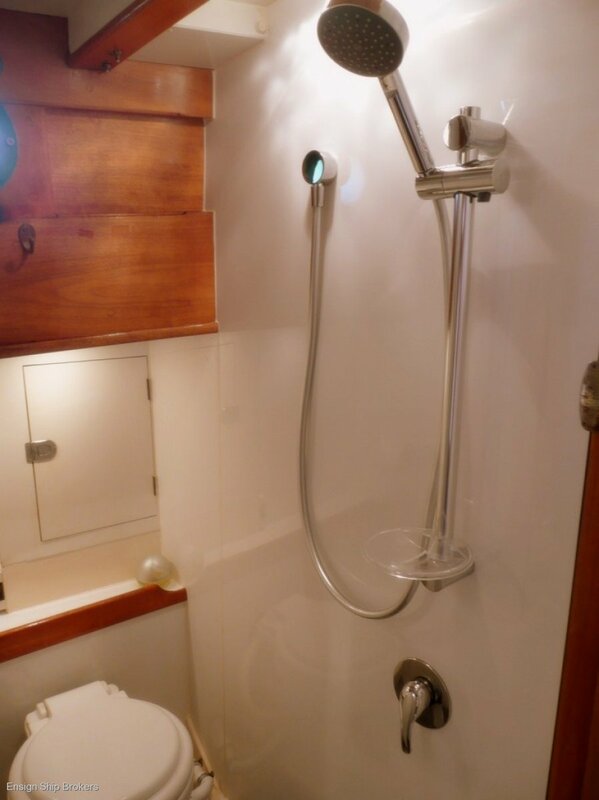 Bimini cover, All-round cockpit clears, Helm cover, 2 x Hatch covers. 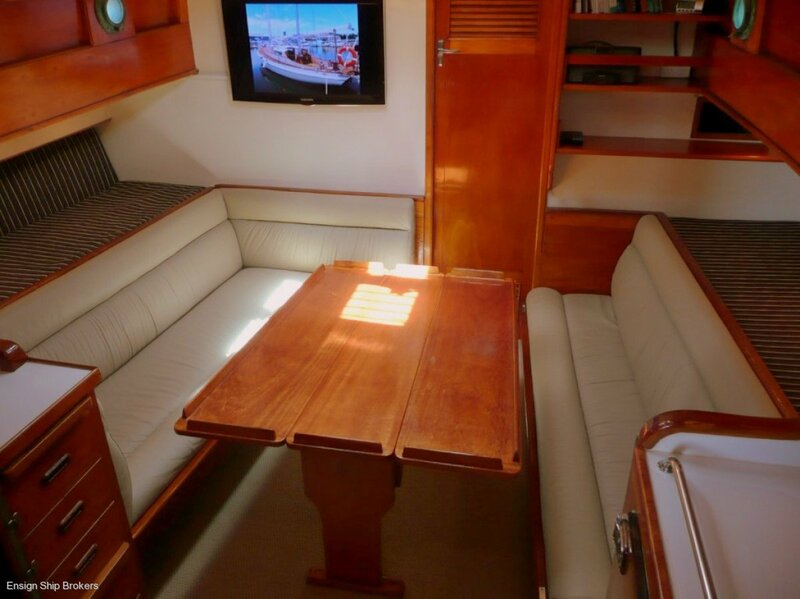 SALOON: Large midships L-Shaped saloon, New leather port + New leather 3 seater starboard, Large folding saloon table. 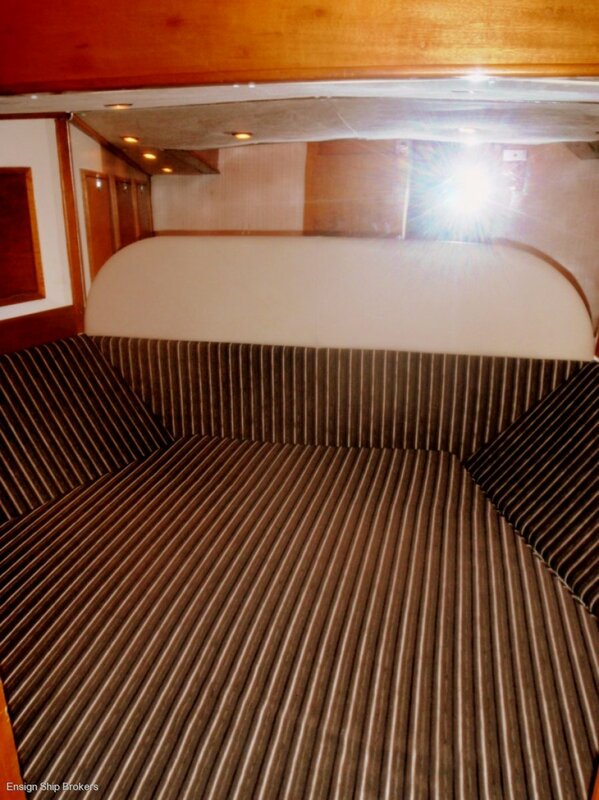 Double master cabin forward, Saloon double pull-out port side, 2 x Singles Starboard, Double crew quarters. 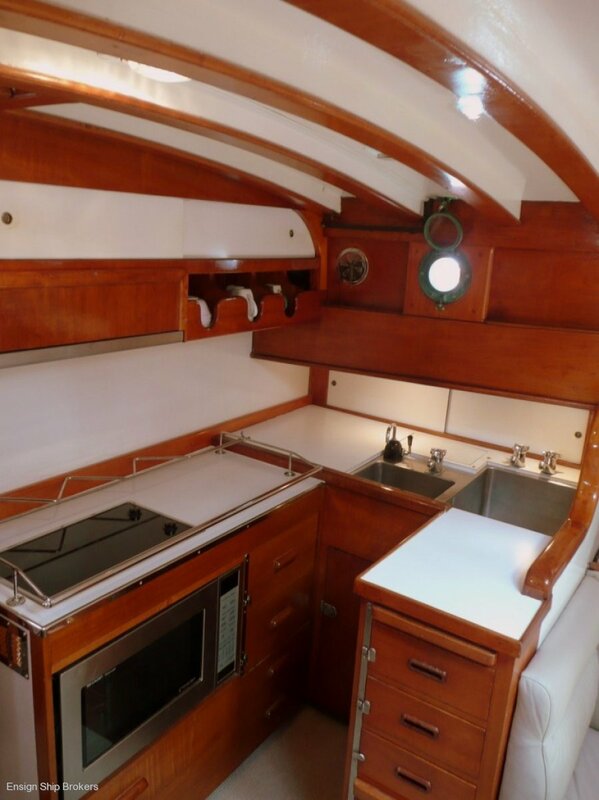 LAYOUT: U-Shaped galley, Double deep stainless steel sinks, Range hood installed 2011, Extra prep bench on starboard side above refrigeration (Doubles as bar). STORAGE: Excellent storage, Including very large stainless storage well. 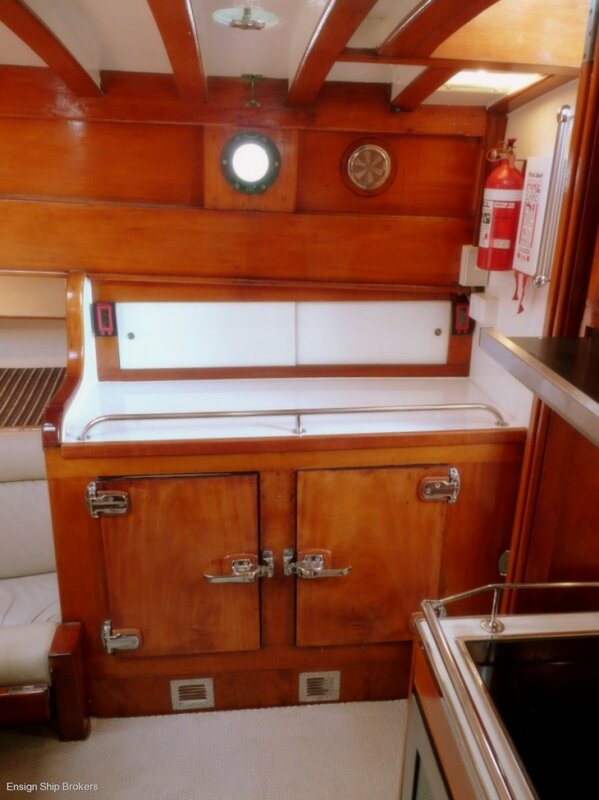 Rebuilt pump & Clutch salt water system, 15m Deck hose, 5 x Extinguishers, Fire Blanket. 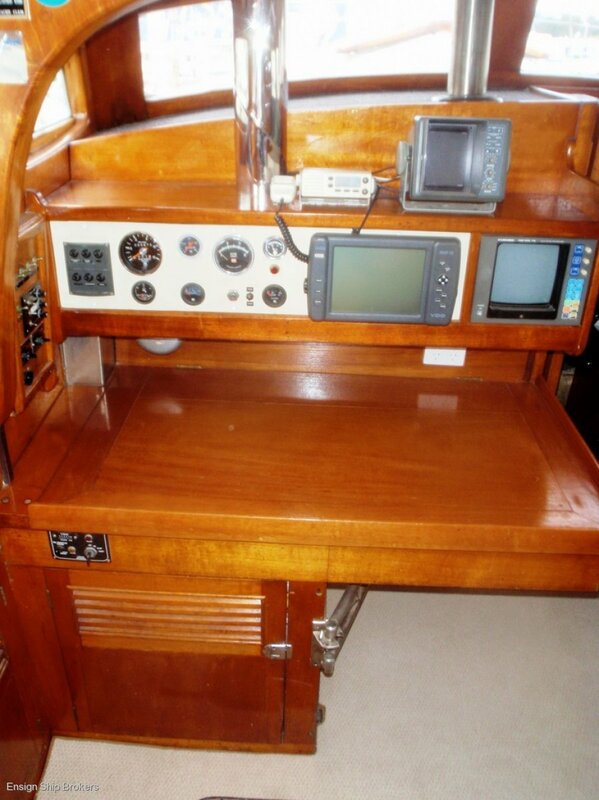 AUTO PILOT: Raymarine XSol - 1 x ST6000+, 1 x ST8002 Head with wireless network and Wireless Controller (S100). 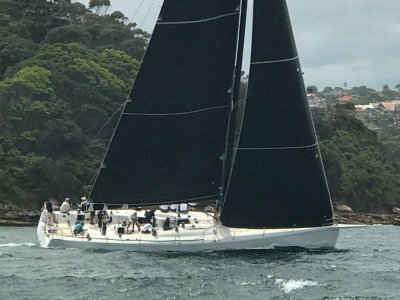 Main (2011), Mizzen, No. 1 Light, No. 0 Heavy, No. 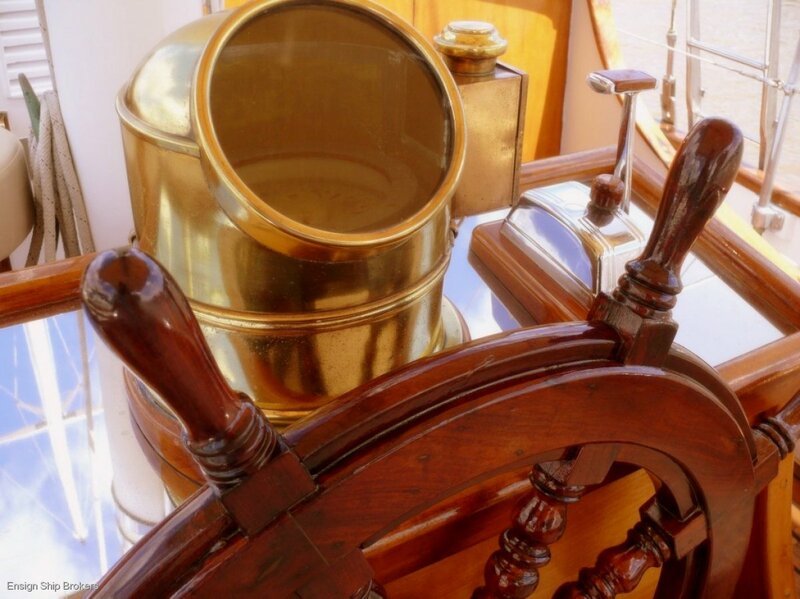 2 Staysail, Mizzen Staysail, Spinnaker. Barlow Winches: 2 x 32, 2 x 25, 3 x 15.